I came from Tbilisi to Baku with Azerbaijan Airlines on 16/2/2016 and my flight delayed 4 hour 20 minutes. There was no clear explanation about the delay and when I asked a staff member they told me that they did not know why there was a delay. They did not offer any food or drink during the long wait. Finally when they took us to plane I asked for a coffee which they told me that I needed to pay for. An awful experience. 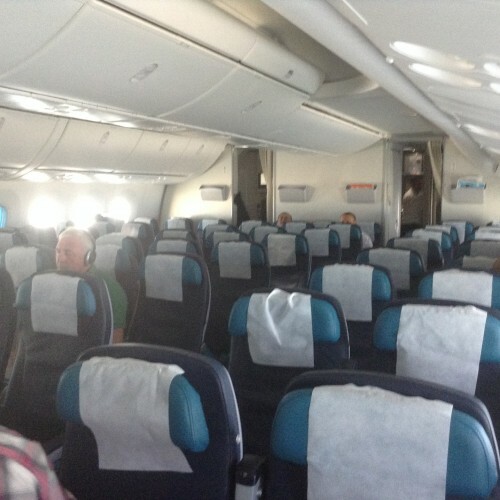 "the seats are not lie-flat"
Azerbaijan Airlines from Baku to London. I was a little confused at Baku airport as I couldn't find any Business Class check in but the regular desks were quiet so no big deal. No priority baggage tag. The AZAL lounge in Baku is comfortable with self service bar and a few snacks but no hot food. 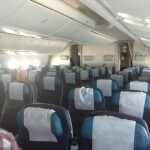 The aircraft is quite new and Business Class was arranged 2-3-2. There were only about 8 passengers in the cabin on my flight. The crew were very attentive and friendly. I usually enjoy AZAL food but this flight's food was dry and not very tasty - though you do get a lot. Good bar service with lots of choice. The IFE on AZAL is pretty poor. I found there was lots of leg room but the seats are not lie-flat and by the time I got to London, I'd had enough! Flight arrived on time and the luggage was off the aircraft fairly quickly. All in all a good flight, though not exceptional, and much cheaper than BA's business class tickets on this route. Istanbul Ataturk to Baku with Azerbaijan Airlines. Despite having high prices AZAL offers good product especially on this route. AZAL does not allow you to purchase tickets online (with plastic cards) if it is not issued under passenger's name. They also stated "AZAL holds right to check authenticity of plastic cards during check in and/or boarding". In my case my parents wanted purchase this ticket but according to this they could not do it online. They personally went their office in Baku and purchased it. And AZAL added office fee. This is user unfriendly rule - Online check in was smooth. The flight was half empty so I could choose seat 12A. I had bicycle to transfer to Baku. According to AZAL's rules passengers can carry 1 piece sport equipment free of charge. In Ataturk airport staff seemed not to know this rule. I argued a bit then they take my mountain bike free of charge. It was handled gently which made me satisfied. The flight scheduled to depart at 12:20. This period used to be pretty busy at IST airport but we departed on time. The flight was operated by 5 years old Boeing 767-300er. The aircraft was showing its age but perfectly maintained. Seat was comfortable and legroom was ok for 2.5 hours flight. Seat next to me was empty which gave me more comfort. Cleanliness of lavatory was fine too. Crew distributed hot towels and headsets before take off. Complimentary food and drinks served onboard. Drink service started shortly after take off. They offered different soft drinks, biscuits and crackers. Lunch service followed. They did not have menus. Lunch consisted of buckwheat and meat balls with tomato sauce, fresh vegetable salad, 3 pieces of cheese, a piece of cake. Soft and alcoholic beverages also served. During lunch they also served tea with lemon. Usually Azerbaijani people prefer to have their dessert with tea. So very nice touch by AZAL! Inflight entertainment well below my expectations and general standards. Seat pocket items were just safety card and Azerbaijan Airlines magazine. The magazine mostly contained articles about BAKU2015 first European games which is not so fun for those who do not have any interest to sports just like me. I had a seat-back screen but it did not entertain me that much. IFE contained pretty old movies and screen was sometimes not sensitive at all. So IFE was the worst part of flying experience. We landed on time and I had my luggage shortly. I would recommend AZAL and would fly with them again. But I hope next time better cabin crew and IFE will be there. 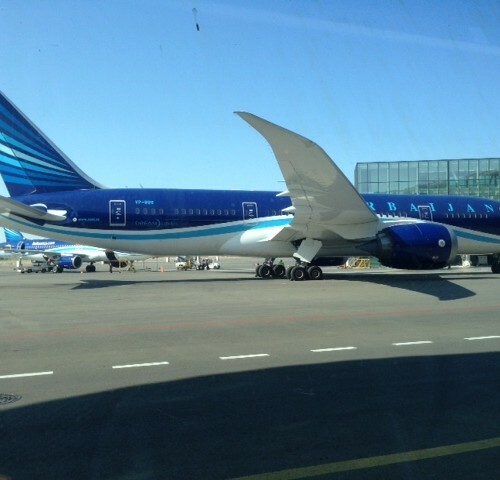 Azerbaijan Airlines ran a very smooth service from London to Baku. Check-in was straightforward and they arranged for me to have an emergency exit seat with superb legroom. The staff were very friendly and provided pleasant service throughout, not disturbing me on an overnight flight. The drinks offering lacked good wine sadly, but this did not detract from the overall experience. The kosher meal I had was virtually a banquet, and the quality was excellent. We landed ahead of schedule and had a very smooth visa registration process in Baku. 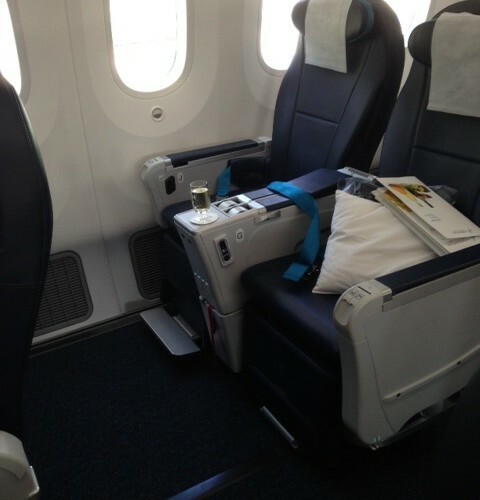 I was pleasantly impressed by the service and would gladly travel with AZAL again. 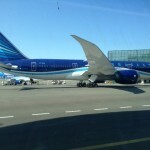 I flew Azerbaijan Airlines from New York to Tel Aviv via Baku. Check in was a bit slow but friendly staff. Plane was full and it was my first time flying a 'Dreamliner'. The cabin crew (although they never smiled) were great and the service was impressive. The plane was comfortable with plenty of legroom and big windows. We were given an amenity kit which was a great little extra. Before our first hot meal was served we were given heated serviettes to freshen up with. A choice of chicken or beef was offered served with a salad, cake and a starter. It was lovely and fresh. Drinks of course and their wine was really nice. Then we were given a snack. Inflight entertainment was ok, good choice but older movies mostly. The screen was a good size, touch screen larger than average, with a charger for your phone. Leg room was good and I found the seat comfortable with a pillow and blanket. Duty free came round and was very cheap so good to note on that route, half the price of offers in JFK Airport. It was a 10.5 hour flight, and a couple of hours later we got a sandwich, and snacks again. After a few more hours we were served another hot meal. I had omelette and roast potatoes and veg. It was well presented with again rolls etc, and drinks. Smooth flight, and 3D tracking of route which was interactive which kept you well updated. Fantastic landing in Baku. Smaller connecting flight to Tel Aviv with very much the same great service and none of cabin crew minded how much you pressed for service on both flights. 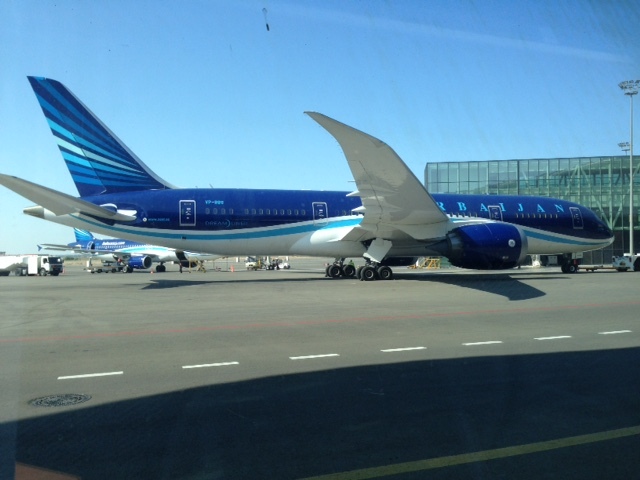 JFK to TLV via Baku with Azerbaijan Airlines was a very good experience. Nice plane (A340) with plenty of leg space. Comfortable and the kosher food was also very good. 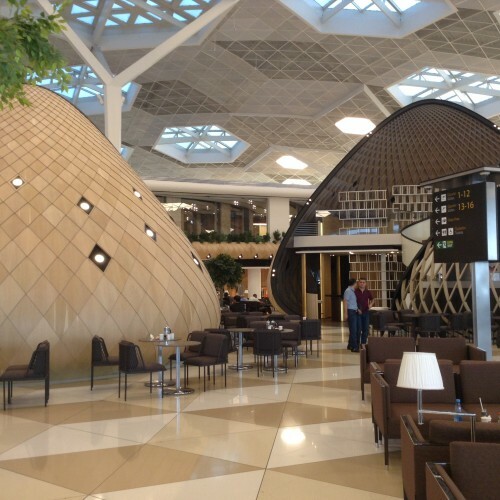 They have to work on the transfer process in Baku, because it takes so long for the security, and you have to go through this about 5 times before you get on your connecting flight.They should work on it. 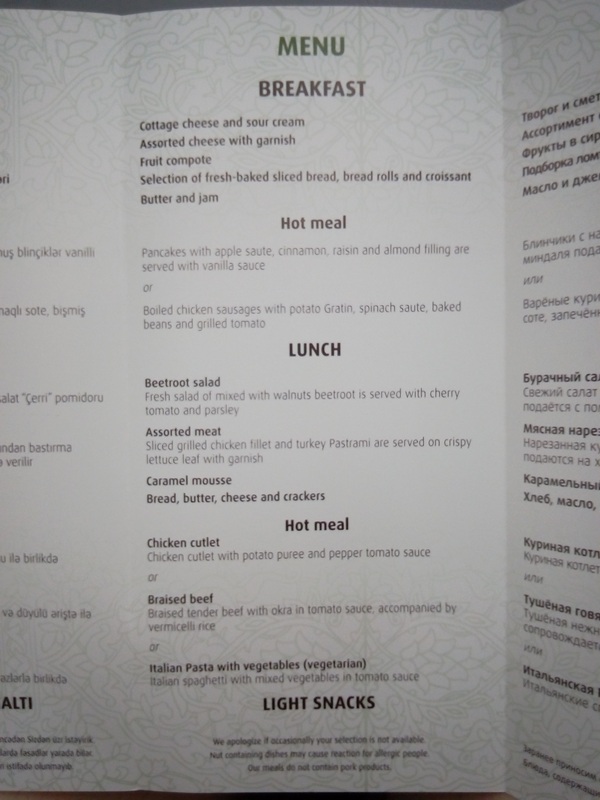 "seat, meal and staff were all great"
Flew Business class from Heathrow to Baku on one of Azerbaijan Airlines Boeing 787's. Check in, lounge (Gulf Air lounge T4 Heathrow), seat, meal and staff were all great. Only exception to this service is the limited inflight entertainment. Using this flight regularly, the IFE has not changed in months. Come on AZAL, everything else you do is up with the best I have flown, please get some new movies/TV programs. 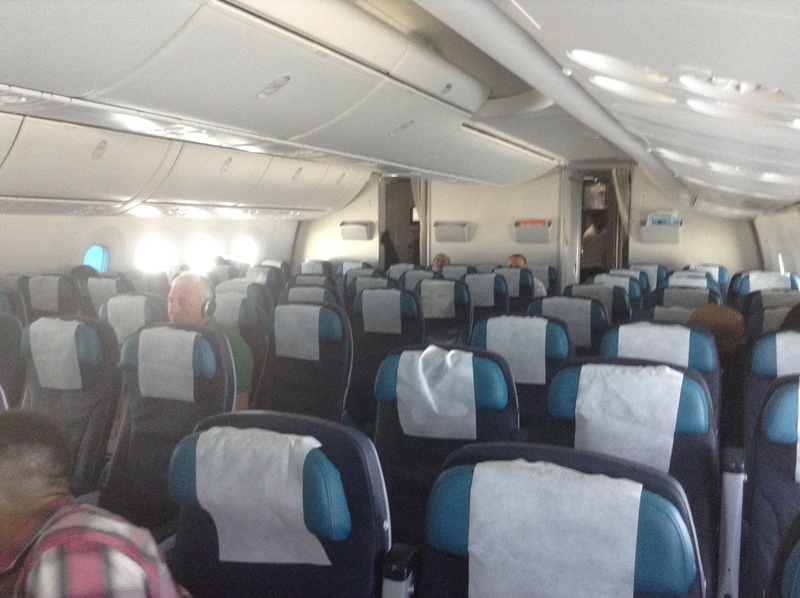 "staff are attentive and helpful"
Both flights (PEK-GYD and GYD-LHR) were on new Boeing 787 with 3-3-3 seating. Beijing-Baku flight was full, and I was randomly allocated seat 21C on the front row of the rear section, so I had no trouble at all with legroom. Baku-London flight was about three-quarters empty, so I had plenty of space to lie across the row of three seats (23A). The seats themselves are fairly comfortable for economy class. The attendants on the first flight were particularly friendly and attentive, although I have no particular complaints about those on the second leg. 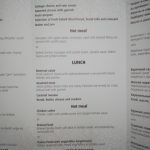 The meals were very good on both flights, although I had requested a vegetarian meal (out of slight preference rather than insistence) which was not available. While this was not a huge disadvantage for me personally, it will have been a problem for more resolute vegetarians. My main criticism is the lack of content on the entertainment system. The interface works very well, but there was no interesting material to watch/listen to. 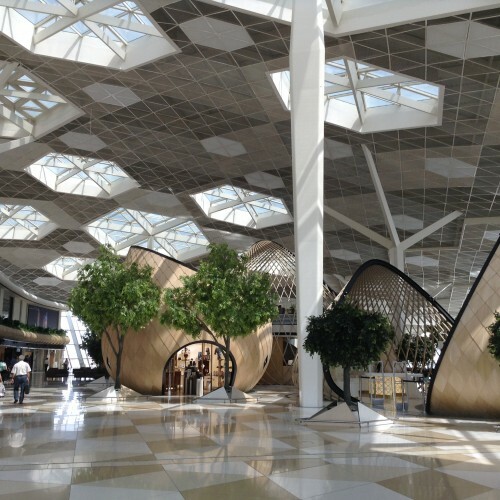 I had a long layover in Baku, but the airport itself is outstanding: nice modern design, clean, efficient, sofas to sleep, and chargers. I did not buy anything at the airport, since I heard it would be overpriced, and I do not know if this is true or not. AZAL offers a great meal and good seats. Today's flight was on an A319. The seats were big. The plane landed at the new terminal. Overall a nice flight experience!